Levi Leipheimer (Team RadioShack): If you watched the 2010 Tour of Utah, you know that the depending champion will be the one to beat. Levi is having a great 2011 season, having won the 2011 Tour de Suisse and placing 2nd at the Amgen Tour of California. Levi placed 3rd in the Tour de France in 2007 and won the bronze medal at the Beijing Olympics. Levi graduated from Rowland Hall High School in Salt Lake City. Tejay van Garderen (HTC-High Road): At only 22 years of age, Tejay is one of the bright up and coming stars in American cycling. A 10 time US Junior National Champion, Tejay had a break out year in 2010 placing 3rd in the Criterium Dauphine Libere, nearly upsetting Tour de France champioin Alberto Contador in the Prologue. Tejay finish 6th Overall in this years Amgen Tour of California. Tejay participated in his first Tour de France in July. Francisco Mancebo (RealCyclist.com): The 2009 Tour of Utah champion and 2010 runner, returns on a new team and on the top of the USA Cycling National Racing Calendar as the individual points leader (through June 2011). This year, Francisco has won the overall classification at Tour of the Gila, Tour de Beauce, Sea Otter Classic and the Redlands Classic. A native of Spain, he finished in the top 10 of the Tour de France five times (2000, 2002-05), and was 3rd overall at the 2004 and 2005 Vuelta a Espana. Jeff Louder (Team BMC): Utah Native and 2008 Tour of Utah champion, Jeff Louder returns hoping to continue his strong showing in front of the home crowd. Jeff put on an amazing display as he won the Park City criterium solo in front of 15,000 screaming fans packed into Old Town Park City. George Hincapie (Team BMC): George will be returning to Utah after starting his record tying 16th Tour de France in July. George has been on 8 Tour de France winning teams as a super domestique for both Lance Armstrong and Alberto Contador. David Zabriskie (Garmin-Cervlo): Another Utah native, David, returns home with the Garmin-Cervelo team. David is a time trial specialist, winning the US Pro National Championship five times. David and his Garmin-Cervelo teammates won this years Tour de France Team Time Trial. Chase Pinkham (BISSELL Pro Cycling): With the Tour of Utah as one of his favorite races, look for Salt Lake City resident Chase to display his climbing prowess on his home turf. In only his second year as a professional cyclist, Chase scored top ten finishes in both the time trial and road race at this year USA Cycling Professional Championships. 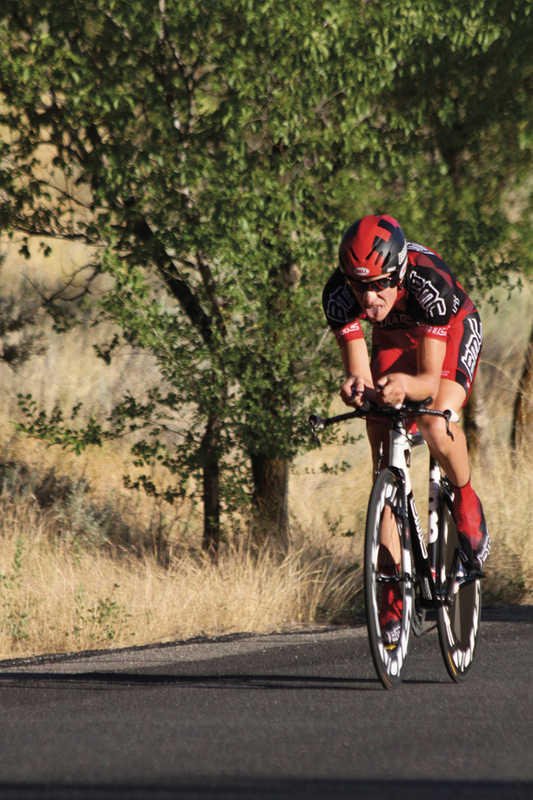 Reid Mumford (Kelly Benefit StrategiesOptumHealth): A resident of Sandy, Utah, Reid is a time trial specialist who recently placed in the top 10 at the Nature Valley Grand Prix. Reid has a Ph.D. in high-energy particle physics from Johns Hopkins University. Evan Hyde (RealCyclist.com): A second-year pro, Evan grew up in Alaska and now resides in Park City, Utah. He scored a top 5 finish in the overall at the 2011 Tour of Tucson. A graduate of Vanderbilt University, he is competing for a new team, which is sponsored by Utah-based RealCyclist.com. Tyler Wren (Jamis/Sutter Home): All-arounder Tyler lives in Salt Lake City-on the Tour of Utahs circuit course, in fact, near the University of Utah. Tyler was named winner of Stage 9 of the 2011 Vuelta Ciclista de Chile, considered the “queen” stage of the 10-day, 750-mile race. Tyler placed 3rd in G.C. at the recent San Dimas Stage Race. In the 2010 Tour of Utah, Tyler placed 10th overall. Peter Stetina (Garmin-Cervlo): Up and comer Peter has his sights set on the Tour of Utah, and has been training in Colorado in preparation. In his Grand Tour debut at this years Giro dItalia, Peter was the top North American finisher placing a respectable 22nd and took third in the Young Rider Classification. He is the 2010 U.S. U23 Time Trial Champion. Matthew Busche (Team RadioShack): Matthew is the 2011 USA Cycling Professional Road Race Champion, and placed third in the U.S. Professional Time Trial Championship. In 2010, he was third in the Tour of Denmark. At the 2009 Tour of Utah, he placed seventh overall, which was his first race as a professional. He is a graduate of Luther College in Iowa. One Response to "Who to Watch – 2011 Tour of Utah"